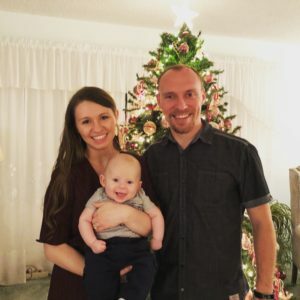 BYU student Katelyn Casperson and her husband had seen many couples around campus with children and decided having their own baby would be manageable. During her first semester back to school after her son Rigel was born, Casperson, a computer science major, participated in a babysitting swap with some of her neighbors who also had young children. Casperson found this arrangement stressful, as time she could have spent studying was spent babysitting. This semester, she and a neighbor split the cost of a nanny who watches both of their boys. 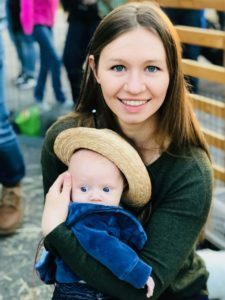 Though Casperson has no regrets about having her baby, she and her husband can’t afford both child care and her full-time school tuition, so she only attends school part-time while her husband, a BYU alum, works as a schoolteacher. She’s also had to retake some classes from the semester she used the babysitting swap. “The lack of child care options and affordability of childcare has impacted my graduation date by extending it out by a year,” Casperson said. Casperson, whose baby is now six months old, said on-campus day care at BYU would make “a huge difference” to her. 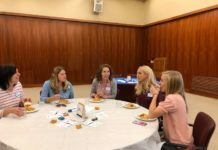 Robbyn Scribner, a researcher and writer for the Utah Women and Leadership Project, said BYU could “take a page out of the book” of other universities and recognize what a benefit on-campus childcare would be to its students. “The Church makes such a push for how important it is for women to get their education, and to have that little extra boost (of) having child care right there on campus … would help both the male and female students graduate from college,” she said. Child care options on Utah university and college campuses differ between day cares and preschools. While the university and college day cares typically charge low hourly fees, don’t accept infants and sometimes have flexible hours, the preschools typically charge several hundred dollars tuition per semester, don’t accept infants and have set hours. Salt Lake Community College, which also offers a preschool. Both have income-based fees. Snow College, which director Danni Larsen said is mainly a preschool but does offer some day care hours. Rates range from $2.75 to $3.80 per hour and differ based on if the parents or guardians are students, faculty or staff, or community members, and based on if the child is an infant, toddler or preschooler. Utah State University-Brigham City, which charges students $4 per hour for children ages 0-2 and $3.50 per hour for children ages 2-8. USU’s main Logan campus also has an early care and education center which includes several preschool programs and a kindergarten program ranging from $396 per month to $1,100 per month. UVU, which charges students on a sliding scale according to family size and income. Weber State University, which charges students $3.50 per hour. It also has a preschool which charges $615 per 15-week semester. BYU, which had not posted preschool tuition as of Jan. 28. It also offers an on-campus kindergarten which charges $1,700 per semester for the kindergarten year. Dixie State University, which charges $300-$450 per semester. Southern Utah University, which charges $450-$500 per semester. In May 2017, SUU announced the creation of an on-campus day care and preschool center. The estimated $1.5 million project, which has experienced delays due to funding issues, could be completed by fall 2019. LDS Business College, Utah State University-Eastern and Westminster College do not have any type of child care options for student parents. Additionally, the university and college day cares tend to prioritize children of students, while the preschools differ in their availability to students. For example, Dixie State University preschool teacher Teresa Snow said students are “more than welcome” to enroll their children at the university’s preschool; it just doesn’t happen very often because the university students don’t usually have preschool-aged children. She said the majority of children enrolled in the preschool come from the community, with a small number coming from faculty and staff. Calls to Southern Utah University’s preschool were not returned. Its website does not state that student parents at SUU are ineligible to enroll their children in the university’s preschool. BYU’s on-campus preschool and kindergarten give placement first to dependent children of full-time faculty and administrators, then full-time staff, then full-time students, and then community members, according to its website. The program’s director declined interviews on behalf of the school’s teachers, as the first few weeks of the new year are stressful for teachers and staff. Additionally, the BYU David O. McKay School of Education, the BYU College of Nursing and the BYU Didactic Program in Dietetics all have policies not allowing children in class. If illness or family emergencies disrupt normal childcare routines, the policy asks students to contact the instructor prior to class, and the instructor may then approve or disapprove of the child being in the classroom. 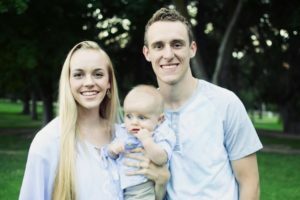 BYU Magazine reports that more than a quarter of BYU students are married, but no data exists for how many BYU students have children, according to University spokeswoman Carri Jenkins. Jenkins said the possibility of an on-campus day care service is not under discussion. She also said while BYU has made the decision not to provide on-campus day care, the university does provide “a supportive environment for our students with children.” This is done by offering on-campus family housing such as the 790 units in Wymount Terrace and the 270 units in Wyview Park. She also said the university’s family housing offers many activities and facilities for families. Jenkins said another way BYU supports students with children is by offering a free UTA transit pass, which allows BYU students, faculty, staff and their spouses and dependents to ride UTA buses, TRAX, FrontRunner and the new Utah Valley Express (UVX). “It was important to BYU that not only students have this opportunity but also their dependents,” she said. Jenkins said the university supports parents through the new family-friendly study room in the Harold B. Lee Library, which includes a play area, child-friendly restrooms and glass-walled study areas with a view of the play area. This allows students to study while their children play. Library Communications Director Roger Layton said that prior to building the study room, library staff had been looking for ways to help student parents. The Patron Services Department, for example, understood the difficulties of finding library books with a toddler or a stroller in tow, so it expanded the library’s hold service. 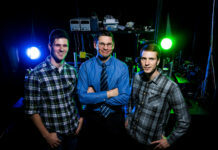 The service allows students to locate and request items online at home. Library staff will then have the items ready for pickup at the circulation desk on the main floor. Layton said this service was developed specifically for students with children, though anyone can use it. “I’m happy to point out that this type of service is now common at other organizations, such as grocery stores, but our staff was on the leading edge,” he said. Layton said the library also supports student parents through the Article Delivery service, which allows students to request articles and book chapters online to be delivered electronically, and through quiet reading areas, which he said allow student parents to have a “quiet neutral location” to focus on their studies. Casperson said she was excited when the family-friendly study room was built and it was one of the reasons she and her husband felt confident they could have a baby while she was still in school. They also live at Wymount Terrace, which she said is affordable and higher quality than what they would otherwise be able to afford in Provo. However, BYU student parent Rachel Tenney said she personally feels BYU doesn’t do enough to support its student parents and the family-friendly study room and other services haven’t affected her. Tenney has a 10-and-a-half-month-old baby boy named Jack. “At least for me and my husband, I feel like we haven’t felt too many options or support being offered from the university,” she said. Tenney, a landscape management major, said she and her husband have struggled with common childcare issues such as affordability and availability. Since they can’t afford child care, they’ve arranged their schedules to take turns watching their son. Tenney said she has “definitely” felt a negative stigma from having a child while in school, and that stigma was one of the hardest parts of deciding it was the right time to have a child. She was especially worried about what her classmates would think. “Even now, when I am in class or interacting with peers … I try and hide my identity as a mom because I feel like I’m treated differently,” she said, adding it’s been difficult to balance school while trying to figure out who she is as a mom. However, Tenney said though she sometimes feels overwhelmed from balancing school, a part-time job and her baby, she doesn’t want people to feel like they can’t have a child while in school. Snow, who has been teaching at the Dixie State University Preschool for 22 years, said it’s important for parents to get an education so they can better themselves. Tenney said she wants her children and future children to know that finishing her education was important to her, and she feels teaching them by example to get their educations is one of the biggest things she can do for them. She also said she loves learning and hopes she can have a side job while raising her children. Casperson said she wants a career and “can’t imagine” not getting her degree. She also said most people understand that being a parent is a huge responsibility, and it’s hard being a student at the same time. However, she said she’s still happy and successful despite the difficulty. Tenney said it’s important to be kind to parents who are on campus with their children. “Often times a simple understanding smile makes the biggest difference to me,” she said. 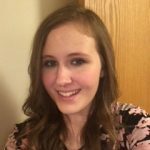 Kaitlyn Bancroft is a senior in the news media program at Brigham Young University. She's written for the Davis Clipper, the Daily Universe, the Deseret News and the Church News, as well as managed the BYU ElevenNEWS (now Newsline) website. She's currently a senior reporter with the Daily Universe. Visit her website at https://15kbancroft.wixsite.com/kaitlynbancroft.